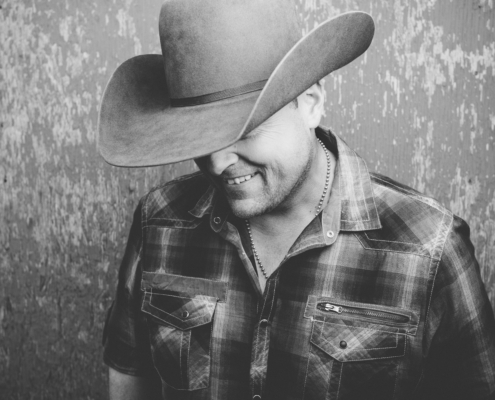 Alberta-raised Gord Bamford, stands as one of the most decorated artists in Canadian country music with an impressive 26 Canadian Country Music Association (CCMA) awards, multi JUNO nominations and the only two-time winner of Nashville’s Country Music Association (CMA) Global Country Artist of the Year award. It is his distinctive sound and songwriting ability that defines Gord Bamford as one of country music’s best neotraditional artists. Like so many others that have come before him, Bamford is just not an overnight success. He has spent the better part of the last 20 years honing his craft and working hard to get where he is today. Bamford’s 8th studio album, Neon Smoke, was released in early 2018 containing the smash # 1 chart topper ‘Dive Bar’ and follows his Tin Roof album, winner of the 2016 CCMA ‘Album of The Year’. Tin Roof, nominated for the 2016 JUNO Country Album of The Year, follows the Juno Nominated Country Junkie album and it’s # 1 hit song ‘ When Your Lips Are So Close’. He is a 3-time CCMA ‘Male Artist of the Year’. Gord is a man who believes with his whole heart in giving back. The Gord Bamford Charitable Foundation has generated over $3.6 million since its inception in 2008 for children’s charities such as the Make-A-Wish Foundation, Ronald McDonald House, Big Brothers Big Sisters, numerous children’s hospitals across Canada and MusiCounts. That humble, likeable approach is what continues to draw legions of new fans to Gord Bamford. But it’s the music that keeps them loyal. Gord Bamford has the amazing ability to evolve his music, sense where his fans want to go, and take us all along with him.